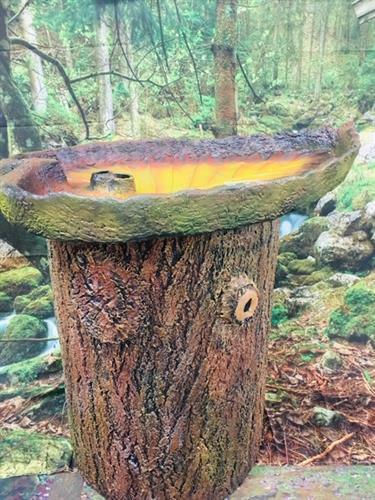 We are crafting and manufacturing unique birdbaths/fountains, which are handmade by highly skilled artisans with a true love for the birds and wildlife. 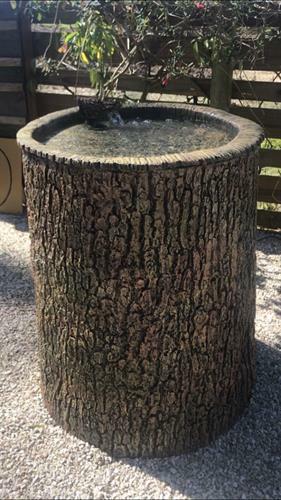 We are committed to bringing you and the birds the most beautiful and practical birdbath/fountain on the market today. Dedicated craftsmanship combines art with nature to transform your yard into a literal oasis for both you and your feathered friends. We have spent years of research trying to build an innovative, easy to use and truly useful bath. 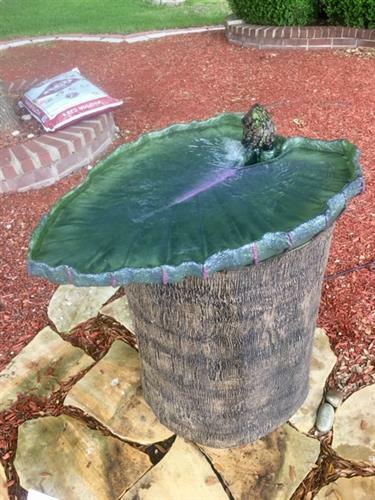 Now with this gorgeous, ever-running birdbath/fountain, you can attract a wide range of birds to your own yard. We think you will agree that our birdbaths/fountains are the "FLOCKING BEST!"